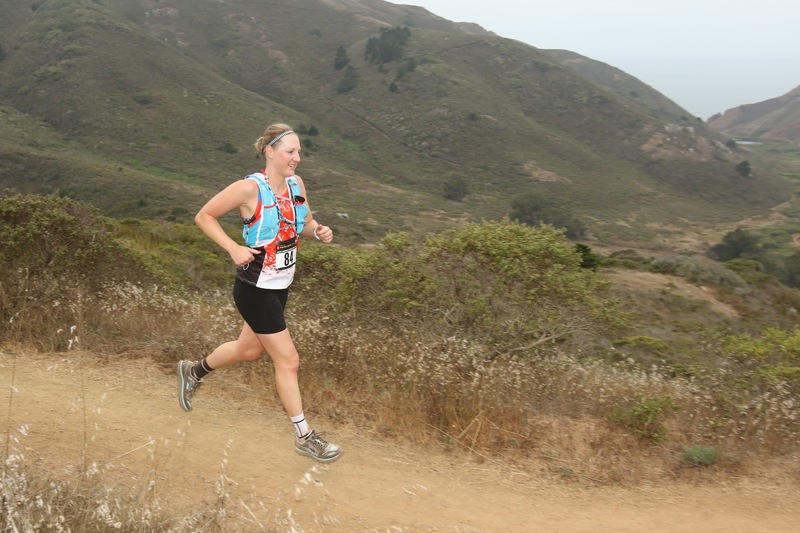 On August 27, I ran the Tamalpa Headlands 50K as my goal race. This post has been in my head for a while and it's time to finally put it in writing; I think I struggled with this one because of how the training cycle ended. Overall, my training cycle for this 50K didn't go very well. With each passing week, I continued to feel worse both physically and mentally. My body wasn't responding well to the training load laid out by my coach, and I was never, ever able to hit the speed work paces she gave me. With each of these 'failures' I became more discouraged about my ability to do well in the race or heck, to even run at all. I tried very hard to act fine, but I wasn't. I decided to run the SF Marathon mostly because I didn't think I could muster a solo long run otherwise. This was a great decision and a big mental boost - I'm so glad I did it! Unfortunately, my discouraged state of mind returned quickly post-race. Even taking extra days off and skipping speedwork wasn't helping. Often my coach would say a given workout 'shouldn't take much out of me,' but that never ended up being true. On the Monday before the race, I truly contemplated a DNS. Despite knowing this was mostly in my head and that I needed to snap out of it, I couldn't let it go. Lunch and a social run with a friend helped pull me out of the hole a little bit, at least enough to get me to the start line. Race morning was perfect, not too cold and not too hot. We started from Santos Meadow in Marin, and everything from parking to bib pick-up to restrooms was very easy. I was happy to be with fellow Bay Birds Rebecca and Lisa, plus Striders Erica, Rachel, and Imogen, as moral support. Me, Rebecca, and Lisa at the start. I still had many doubts in my head, but I did my best to push them aside. 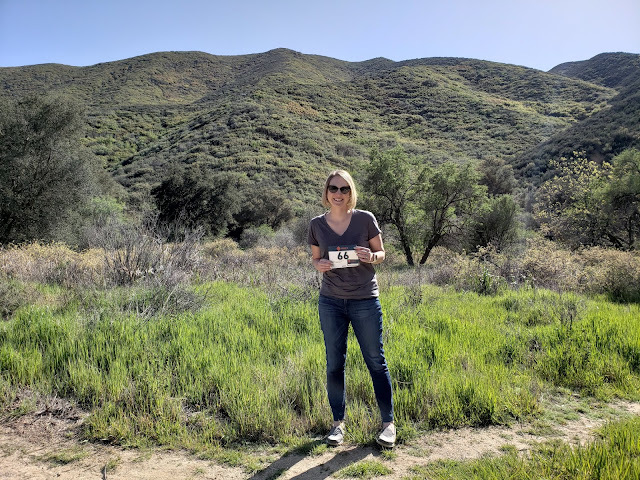 One great thing about this course is that I know the trails well and have sections I truly look forward to running, which kept my mind occupied and happy. We headed toward Muir Beach, up the first big climb and through Pirate's Cove - one of my favorite spots and a course highlight. The views were as spectacular as usual! Fasties at the start. It's a championship race and draws quite the elite crowd! The next climb up Wolf Ridge felt tougher than I thought it should, but I made it to the top and thoroughly enjoyed the long downhill into Rodeo Beach. As a special treat, Brett had planned the SFRC run to be on our route that day and I passed them going up Coastal trail as I ran down. Their high fives, cheers, and Bay Birds shout outs were much appreciated! The Rodeo Beach aid station was about 8.5 miles into the course so I didn't really need anything other than to re-tie my shoes. I always end up messing with my shoes multiple times during a race, not sure what the deal there is. Does anyone else have this issue? Can you solve it for me? Even double knotting doesn't seem to take care of it. Anyway, I continued on to Miwok trail and began the next big climb. Soon it was time to run down Old Springs, another section of trail I always look forward to. On the way into Tennessee Valley, Charity and Maili surprised me by being there to cheer and I was thrilled! What a boost to see them for a few minutes. I was also pumped to see Kevin, who took my sunglasses and gave me Tailwind. I left the aid station and went on to climb Miwok trail toward Dias Ridge. Climbing felt pretty rough and slow going to me all day, but I held it together fairly well considering that. Finally, it was time to climb Cardiac via Deer Park and the Dipsea; this is the hill that had me most nervous because it's so long. Even though I'd done it a few times before the race, it felt longer than ever before this time. I knew I'd top out that climb around mile 19 and focused on getting there as fast as I could manage. The top of that hill brought another good surprise, more Bay Birds volunteering and cheering at the aid station! My pack closure got stuck when I tried to refill the Tailwind, but they forced it to close and got me on my way. I knew I'd have to deal with it later but hoped (and was correct) that it wouldn't be until after the race. At this point, I hit the only part of the course that I hadn't run before, Matt Davis trail. It was a nice and somewhat technical single-track trail section that descended to Stinson Beach. There were a ton of hikers on the trail by this point in the day, which means there was a lot of dodging and stopping to pass people on the narrow trail. It took me way longer to descend that section. 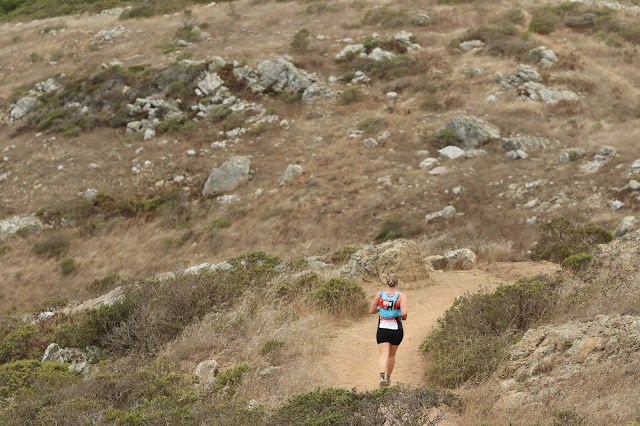 When I arrived at the Stinson Beach aid station around mile 26, I still felt pretty good and knew I had only one climb left in the race, back up to Cardiac via Steep Ravine trail. Steep Ravine is a beautiful, tree-covered single-track trail that I generally enjoy. However, that day my legs wanted to quit soon after I embarked on the hill. I struggled hard the whole way to the top, even taking a few breaks along the way. I kept telling myself 'this is it, last climb' and pushing as much as I could muster. Slowly but surely, I arrived at the top. I didn't stop at the Cardiac aid station the second time around because I had plenty of Tailwind and only about 3 downhill miles to go. The gentle downhill on Coastal and the switchbacks of Heather Cutoff went by quickly, and I arrived at the finish. I was greeted by Kevin and Alisyn cheering along the side and crossed the line in 7:33:27. Although I didn't get in under 7:30 as I hoped, I did better than my previous 50K on a harder course and I am proud of that. With 7300 feet of climbing, this course was a beast. The race gave us awesome swag - medals, cute t-shirts, and trucker hats! My hat addicted self was incredibly excited about the hat. The finish line included beer and all the pizza I could eat from Firetrail Pizza. Yum. The Headlands Brewing beer had run out by the time I finished, but at least there was still Coors? Don't worry, I celebrated with real beer later that evening. All in all, this was a good day. I gave it all I had, beat my time on a harder course, and felt very accomplished. That said, next time I hope to have a better training cycle and go into the race feeling fresh and ready. I've been taking some time to recover without a training plan for the past few weeks, and now I'm building toward the Brazen Diablo Summit Stomp 30K as my fall race. See you on the trails! Congrats on another 50K finish!! Looks like you managed to fight hard, despite a tough end to your training cycle. Do you think it was your coach? Did she not adjust speedwork paces in the face of you feeling tired and burned out? That seems like a red flag to me. Thanks Jen! No, she didn't adjust speedwork paces when I was feeling bad but she encouraged me to keep trying. I wonder if I needed another rest day per week or something, at least for a while? I'm not a coach, obviously, but it seems to me that she was overly aggressive. I think it's the coach's job to make you ride the fine line of challenging yourself, but not too much to risk injury or burnout. And I'm also wondering why so much speedwork for a 50K? I would've thought you'd be doing more trail tempos or hill sprints. So true! It should be fun!